This practice is all about building heat and opening the hips! Flow through sun salutations and standing poses. 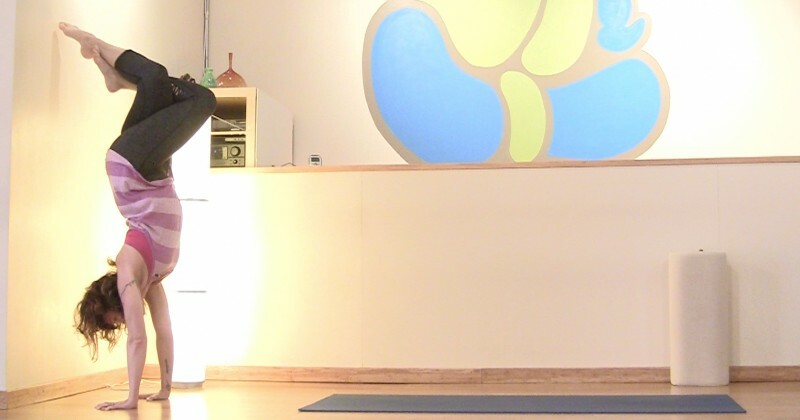 Hip opening poses are integrated throughout the practice. Arm balances and inversions add an element of play! You'll come out of savasana feeling refreshed and relaxed. Enjoy! Breath of Fire starts this party and then we flow and twist and open the hips, hamstrings and shoulders heading toward compass pose, visvamitrasana and a little flying pigeon. Guaranteed by the end of this class you will feel lighter and brighter and ready for whatever life sends your way. Namasté, yogis! Use this twisting practice to revitalize and regenerate your whole system! Lots of flow, heat and challenging poses. The focus is on twists and revolved poses, to help clear away stress and tightness. Enjoy Yogis!